Is the Kitchen Work Triangle Still Relevant Today? You are here: Home / Blog / Home Remodeling / Is the Kitchen Work Triangle Still Relevant Today? What exactly is a kitchen work triangle? It pertains to three items in the kitchen: the stove, the sink and the refrigerator. Together, heir distances create a form of a triangle. When these three elements are within proximity of one another, the kitchen will be easier and efficient to use. The design of the kitchen is a major part of home remodeling. A lot of people pay very close attention to the details of their cooking environment, because it’s hard to cook well if your kitchen isn’t laid out well. The kitchen work triangle concept originated in the 1940’s, a time when household kitchens were already modernizing and transitioning. Back then, most of the house was divided by walls. Now, rooms are usually divided by pieces of furniture, kitchen islands, etc. Everything is becoming much more open. Kitchens in the earlier years were mostly U-shaped, which is why the work triangle was more plausible. Now kitchens have expanded areas and consist of zones—food prep zone, cooking zone, cleaning zone and even a storage zone. Appliances have also changed. Does It Still Have a Place in Today’s Homes? Is it still relevant to apply the kitchen work triangle? Yes, some people still use the idea, while there are also others who don’t. There really isn’t the “right” way to do your kitchen, it’s just a matter of what you think is the best kind of kitchen for you. 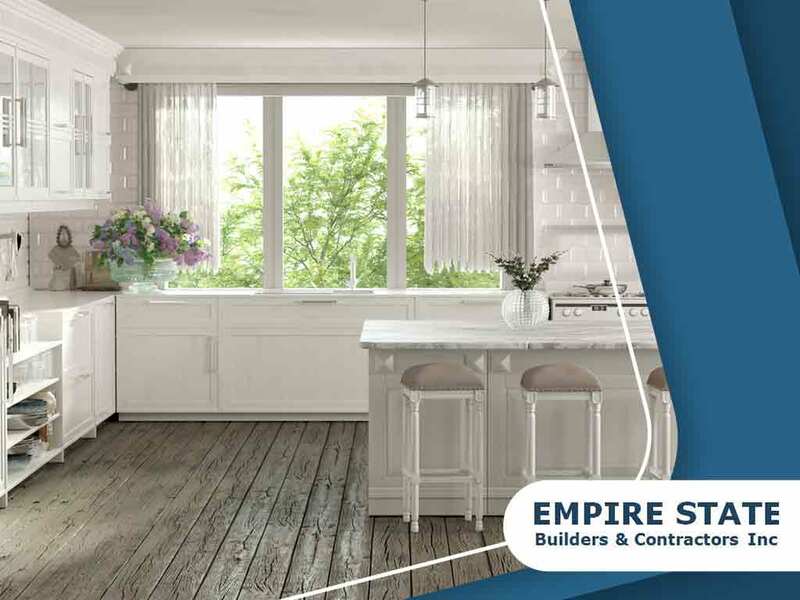 If you are interested in kitchen and bathroom remodeling services services, contact Empire State Builders & Contractors at (844)682-2990. You can also fill out our contact form for a free estimate. We serve clients in New York, including New Rochelle, NY. Are You Thinking About Building a Sunroom? Should You Replace Your Windows and Siding at the Same Time? Copyright © 2019 Empire State Builders and Contractors, Inc. All rights reserved. Empire State Builders and Contractors, Inc.